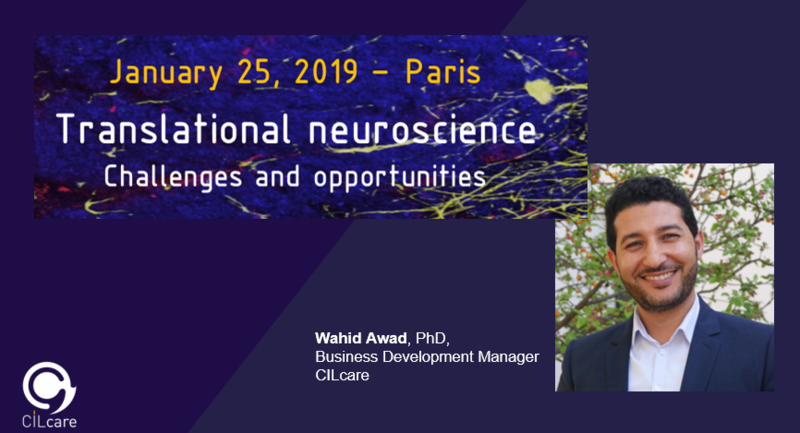 CILcare will be attending the Translational Neuroscience 2019 on January 25, 2019 in Paris. Dr. Wahid AWAD, Business Development Manager will be pleased to discuss about potential business opportunities. We are looking forward to meeting with you and discuss how best we can support your drug development in hearing loss and tinnitus! Challenges and opportunities ! Gathering experts in neurodegenerative diseases, this event will foster interactions between researchers, clinicians, biotech/medtech and pharmaceutical companies. During this new edition, come and hear academic translational research presentations and round table discussion on biocollections and clinical data accessibility and sharing. You will be able to meet researchers, clinicians, biotech and pharmaceutical company representatives and initiate collaborative projects.